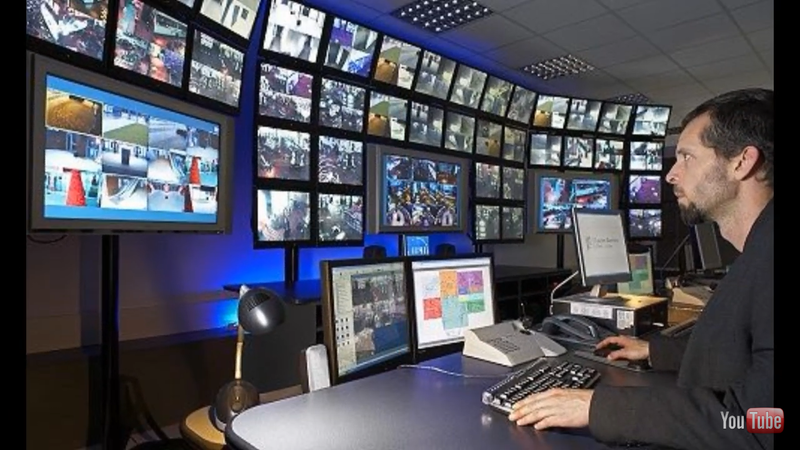 I heard a guy that grew up in Las Vegas explain how when he was a kid (I’m assuming 15 years ago) they used to take video cameras into casinos to see how fast security would show up. He said it was usually within minutes and he called Las Vegas a “police state within a police state”. He then said casinos had an even tighter security and surveillance due to the millions of dollars passing through each one of them daily. No one can argue this. This is a fact. Casinos are a “police state within a police state within a police state”. 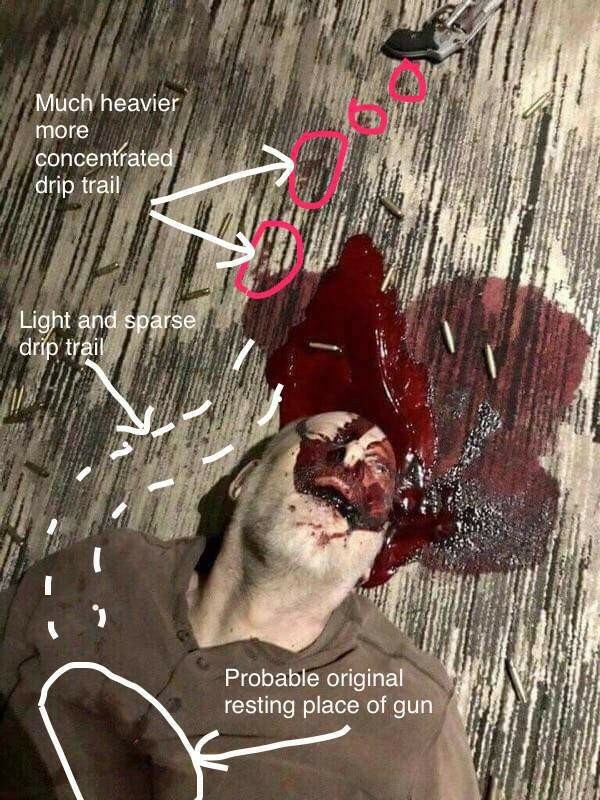 So if casinos are saturated with cameras and CCTV then where is the footage of not only this guy Paddock, but anyone else for that matter? 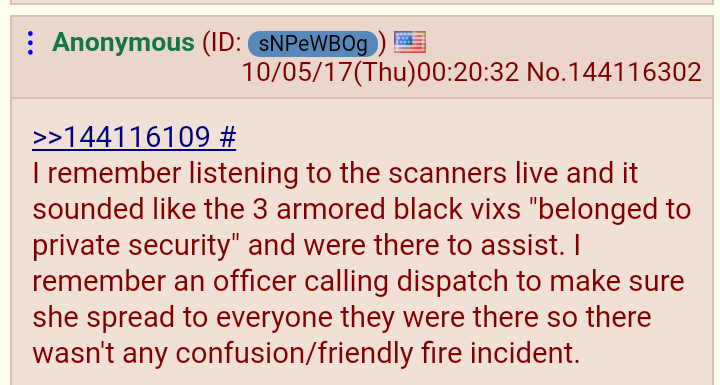 Where is the footage of the security guard Jesus Campos who was allegedly shot on the 32nd floor by Paddock. 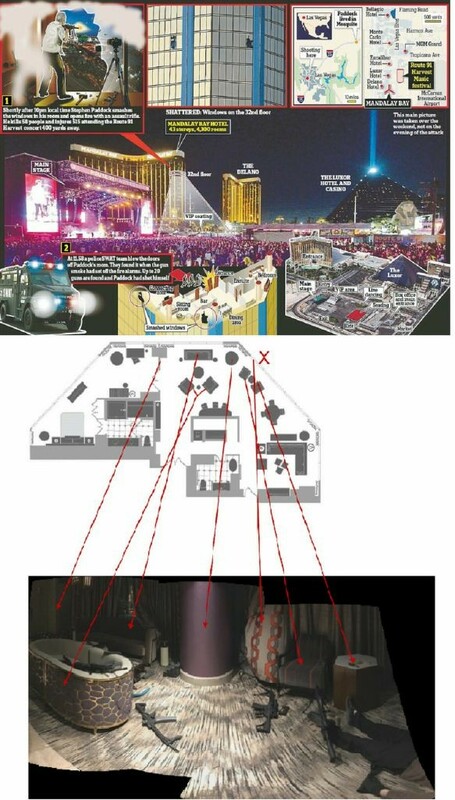 There is no video footage of Paddock inside the casino. 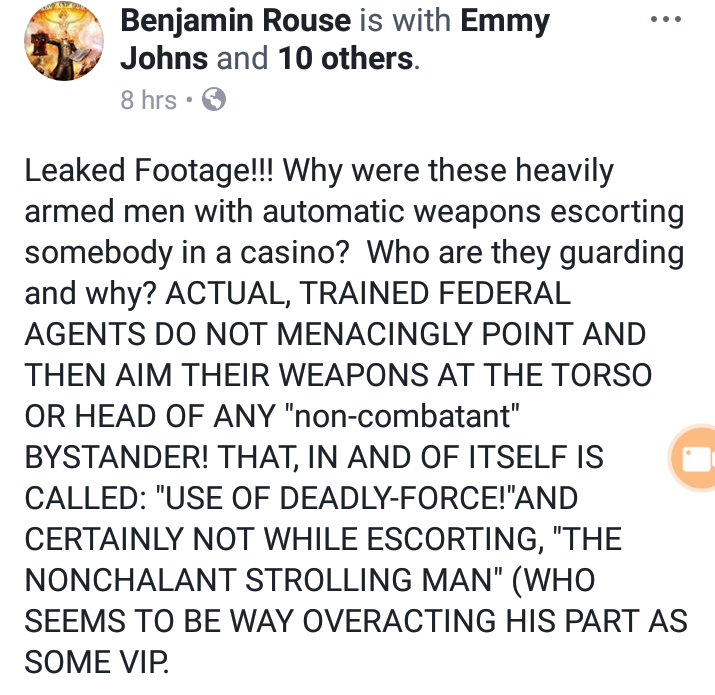 There is no footage of Paddock from outside the casino. Nothing. Not only that, employees of the Mandalay have said that no one was scheduled to work on the 32nd floor for a few days for whatever reason. Now this could be hearsay because I have not confirmed this personally. You can’t even trust anything you read anymore. What you can believe to be true is the police scanner record of where shots were fired. 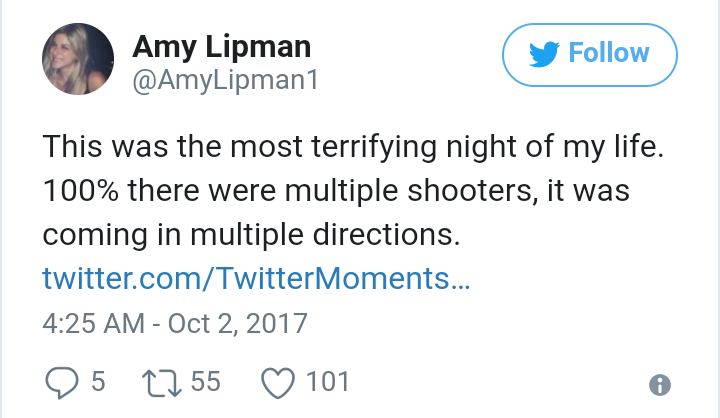 Not only are dots not connecting with Paddock but there are multiple testimonies of concert goers that there was another shooter on a lower level of the Mandalay and there were shots fired at the surrounding hotels and on the grind at the event. And let me mention of shots being fired from the ground inside and around the fair grounds. Nothing is adding up with the official story that has changed 4-5 times already. So it sounds like to me that there were multiple shooters, atleast a half dozen in my opinion. So what really happened? 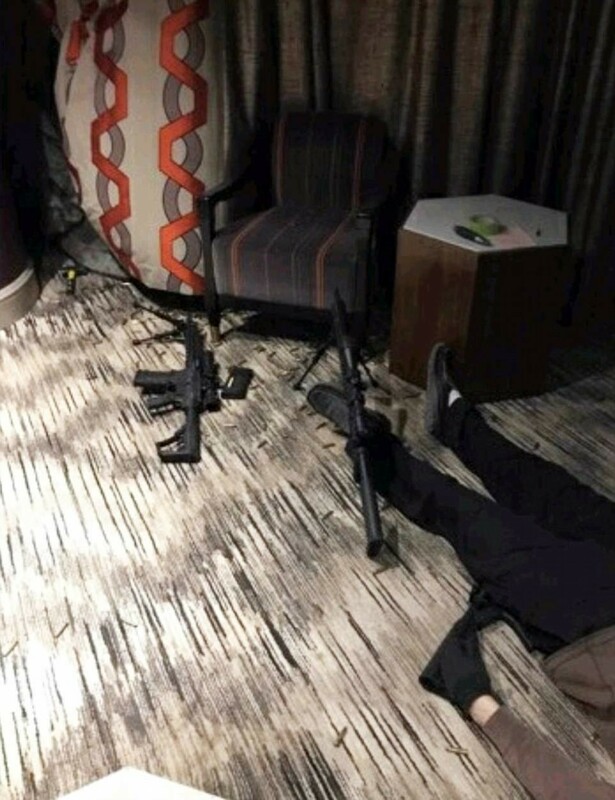 I think when you forget about Steven Paddock and get rid of the notion in your head that he was some sort of “lone wolf” then everything starts to get a little clearer. He was a patsy. I don’t know his involvement with this whole thing but to have his airplanes connected to a Virginia military contractor named Vultan and him not only working for the IRS but also Lockheed Martin as an auditor, he is implicating himself in something nefarious. But he wasn’t the shooter. He was the goat in this situation. 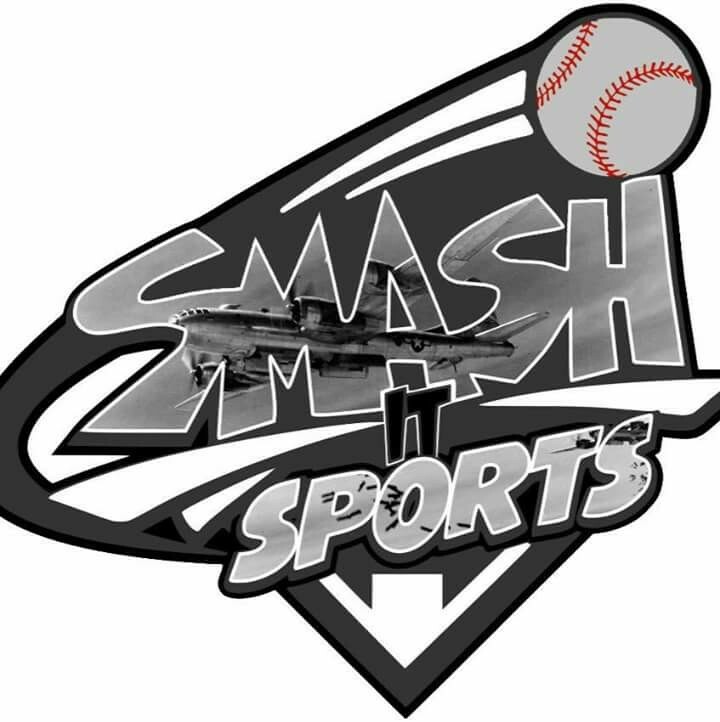 I won’t go over very much here because you can find a ton of info on the internet and social media. I am just touching on things that are obvious to me, like the shooters suicide/death picture. There are a few things wrong with it in my opinion. The first issue is the posture of his body. Hands to the side with the gun above his head. Its obvious to me that a man cannot shoot himself through his mouth either sitting up, standing or laying down and have the gun in that position. And no…I do not think the police upon entering the suite kicked the gun away. There were 23 guns there and one just so happened to be over his left leg. How can a gun be over his left leg? 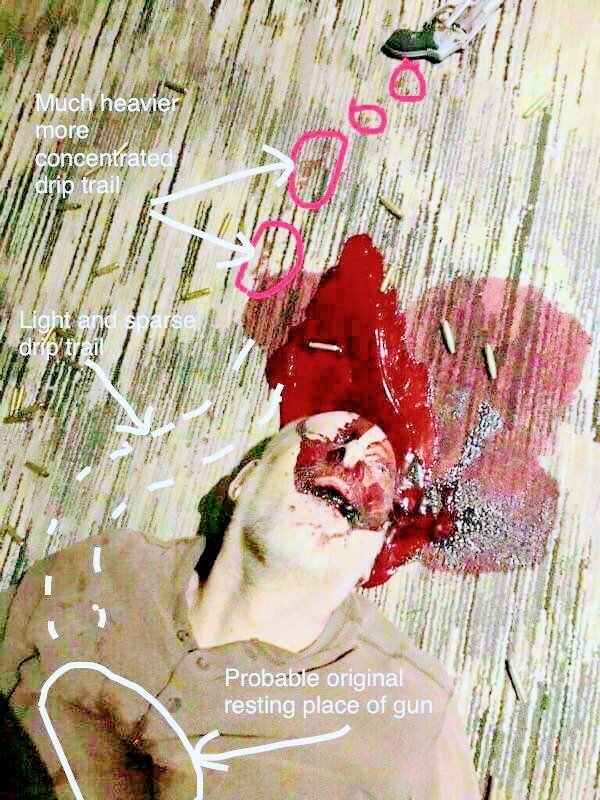 Did he commit suicide laying down and somehow through the gun over his body causing a blood drip trail. How did a dead man do that? And the picture below says “probable original resting place of gun”. I don’t think so. That actually looks like a gun shut at close range that hot his heart and splattered on the weapon. This is why there is a trail of blood drops from the chest tp the weapon. If I were a betting man, I’d say this man was dead from a gun shot wound at close range to his chest. 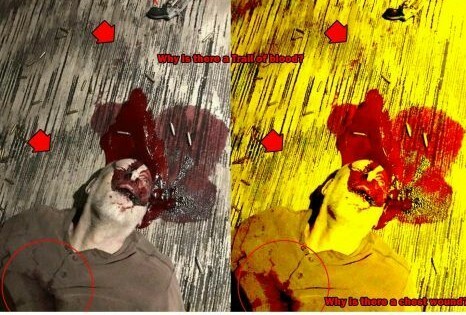 This would explain the dried pool of blood UNDERNEATH the wet blood that looked fairly fresh according to the picture. This man didn’t commit suicide and the whole scene looks like it was planted there like a set. 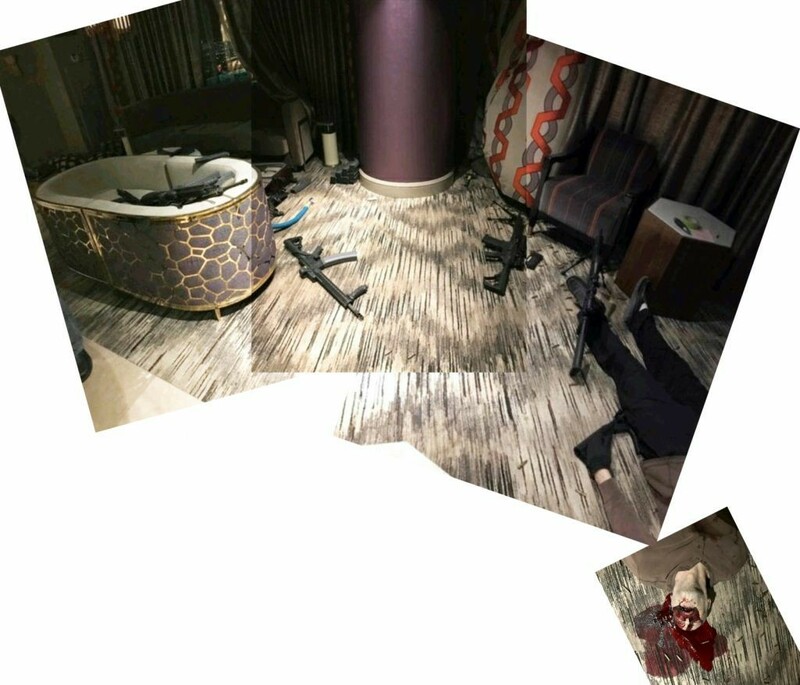 I would even bet that the weapons and casings in the suite will not match the bullets that were on the ground. This was all a complete set up as far as this Mandalay Bay Suite 32135 goes. A few other points I want to bring up is the sensors on the windows on the 32nd floor. Were there any? And if there were why weren’t authorities alerted to broken windows that high up? Another question is if this shooting ocurred exclusively on the 32nd floor like they claim, where was all the smoke from thousands of rounds of ammunition? You episode thought that this much smoke would set off a fire alarm. Nut evidently it didn’t. Probably because this many rounds weren’t fired off in this particular room. Some people claim the whole thing was a hoax and not even real. That no one died and its mentioned in the same breathe as Sandy Hook. I would buy into that theory too because I’m a skeptic in these situations just like the next guy. But this time I can’t be skeptical and say nothing happened. 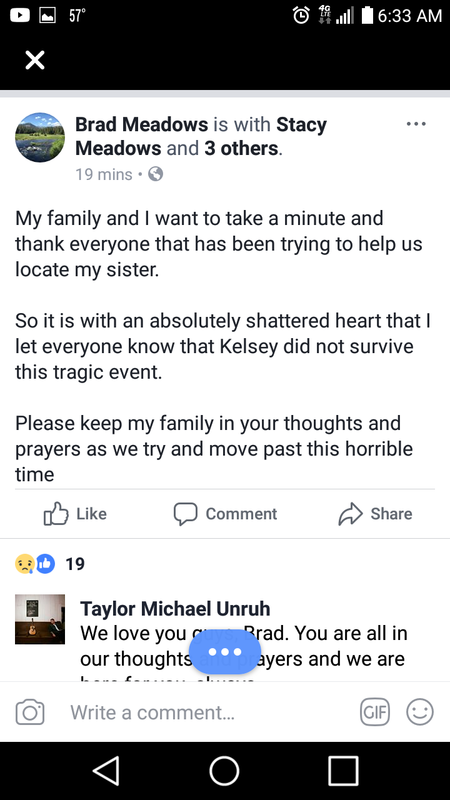 For those who believe its all staged with actors please explain what happened to Kelsey Meadows, who was shot at the concert with eyewitness testimony? Her best friend and cousin saw her get shot and then she fell. In the chaos with the crowd, they lost her and she was found dead and her identity was confirmed a few days later. Why do I bring up Kelsey Meadows? She lives in the same town as me. 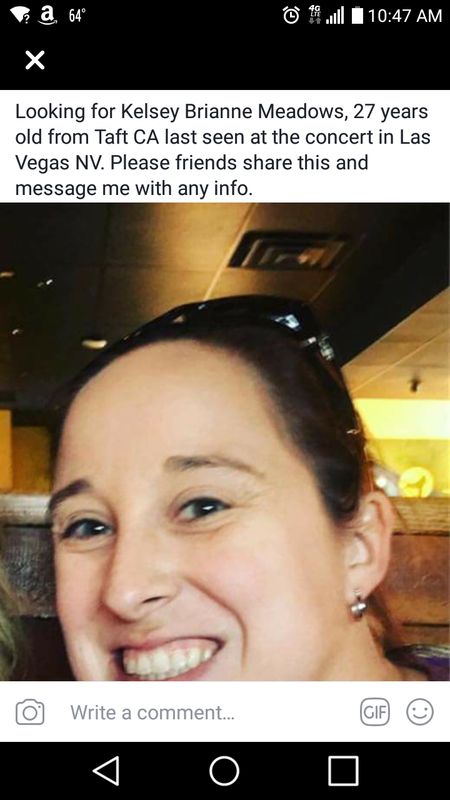 Her family and friends are devestated. They held a memorial where over 1,000 people attended a few nights ago. And where we live, Taft has the same amount of people in the entire town that were actually attending the concert. Just over 20k people. So it was real. People died. There is even a strange video where a guy (I’m assuming he is drunk and an idiot at best) is actually filming those who have passed away. Warning: Video is graphic. So I think think all of this planned. These occultists plant “actors” to intermingled with real victims so everyone will cry “its a hoax! Its all fake!”. But its not. 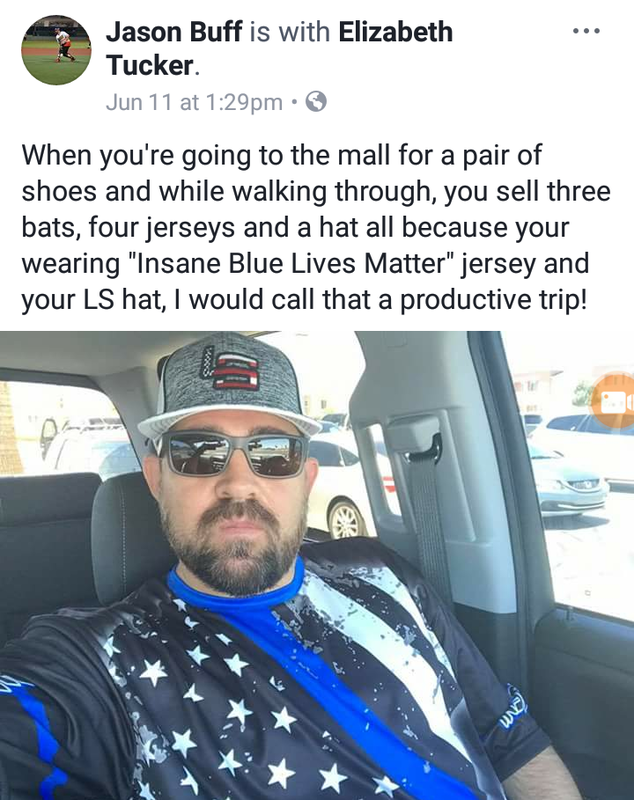 Here is a good example of crisis actors winning this sitting in Vegas. Can you recognize this weirdo? Its the examiner of Sandy Hook. Yep, the same idiot who was laughing and acting really strange. So it’s no wonder why people think this is “fake”. They do this on purpose. So what really happened? Was Haddock running weapons ala Fast and Furious? If he was (in my opinion he wasn’t) he didn’t do any of this willingly. Remember, he was a “number cruncher” with the IRS and Lockheed and this is why he gambled the way he did. He knew numbers. So the question needs to be asked. Did he come across something in his past job(s) that didn’t line up with numbers? I’m only speculating here because he doesn’t fit the bill for a sniping mass murderer. Was he put in the middle of a situation that he knew good and well he may not come out of? 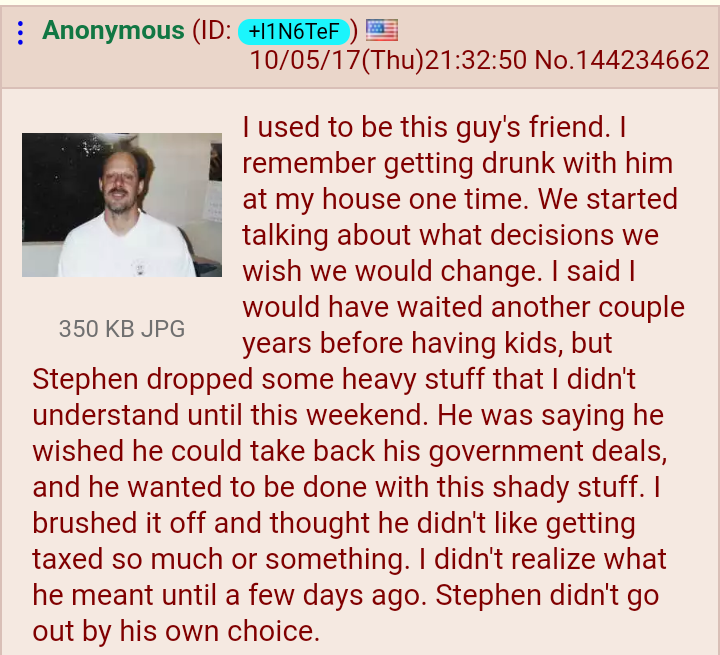 Is this why he sent 100k to the Philippines? And I personally think “mind control” isn’t out of the realm for Paddock. You don’t have to be a MK Ultra victim and kill anyone…you just have to be “willing” to play your role when the time comes. I believe his role was scape goat. Now I do believe this whole thing had been planned for awhile now. Was the original story for the public supposed to be “older white male goes postal on country concert filled with middle class conservatives”? And then was the back story for the social media private inspectors supposed to be a “arms deal gone wrong”? I don’t buy the theory of the arms deal gone wrong for the simple fact that there were shooters placed in different locations and at different hotels and on the ground. This makes no sense for the “arms deal theory”. It sounds good but makes no sense. Besides, if I was to do an arms deal I sure wouldn’t do it in a hotel. I would go in the middle of nowhere like normal criminals do. Ok like I was saying, Blackwater is now Constellis. They are owned now by Apollo Global Management. You have an icon of the son of Osiris/Nimrod who now runs the most powerful private military of mercenaries in the world. 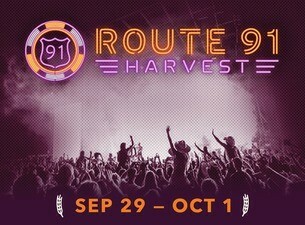 And yes its true, this Apollo group owns multiple Vegas casinos. 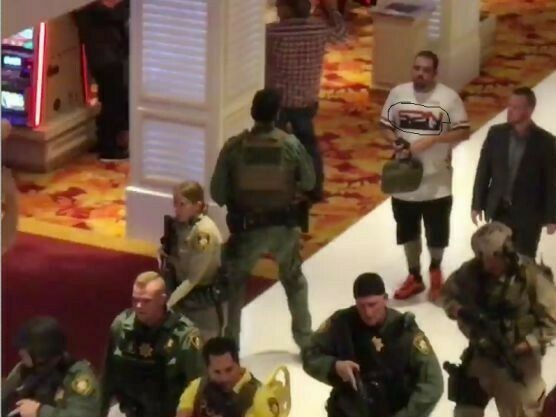 Now the question is this….were mercanaries from “Blackwater” (and that’s what I’ll call them because its all the same at this point) in Vegas doing “security”? 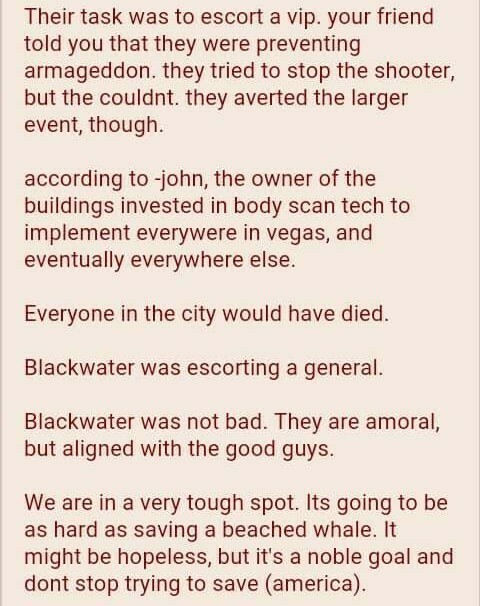 And what are the odds of Blackwater being there at this shooting? And who are these men in their gear? Are these private contractors in these two trucks near a helicopter in the streets of Vegas? According to this video they are. 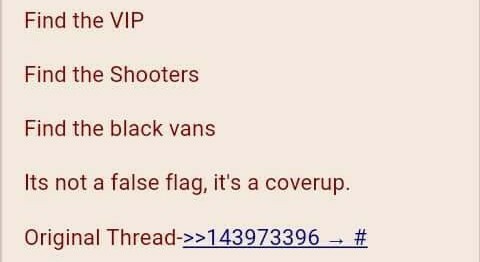 Are these connected to this shooting? We can only assume at this point but it would not surprise me if this is all connected. 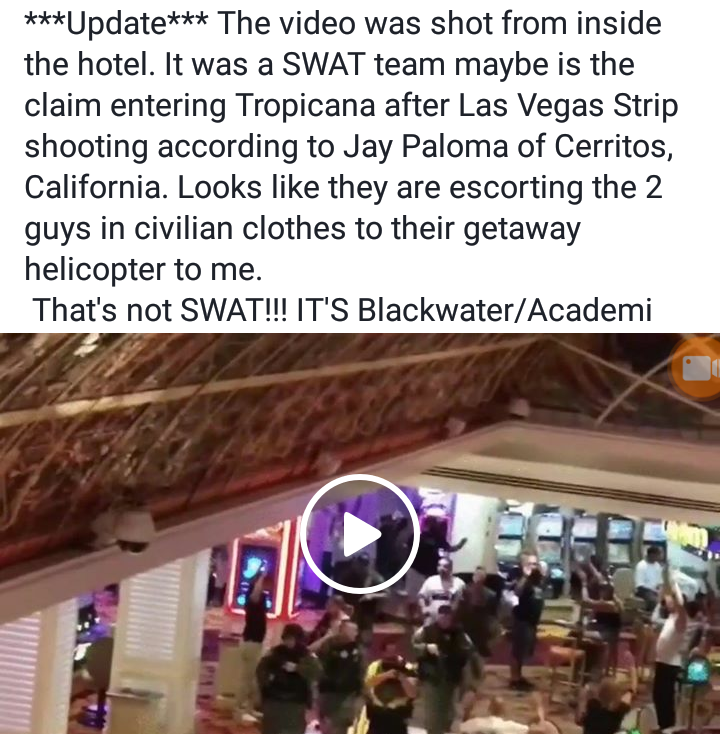 Below is a alleged video of contractors in the Tropicana after the shooting. There were eyewitness testimony of this happening as now there is proof. Thanks Tropicana worker. And below is a man from Henderson named Jason Buff. He is the man in the picture that is in the back with shorts on. These men look like private contractors ala Blackwater/Academi. And there are also rumors that Vice President Pence was in Vegas at the time. Hopefully by now most who are following this and caught on to the private contractors connection, you know that Erik Prince of “Blackwater” is the brother of Betsy DeVos, Trumps head of education. As soon as she was put into this position I knew Prince would sneak his way into the White House somehow. I even had sad that this would be Trumps private military. Blackwater in the White House. So was Blackwater the private security for Pence if he was in Vegas? And is there some truth to Blackwater stopping something that was supposed to be bigger ala bombing or something of that nature. 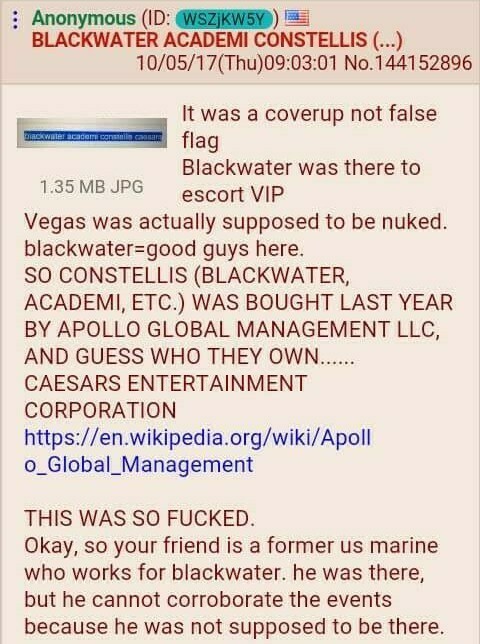 Or is it all just a scam and these private mercanaries were behind it from the very beginning and there is no real Steven Paddock? By the looks of his name meaning ” circling the enclosure”, that could have very well have been the name of this type of operation. Whoever did this was definitely circling the enclosure. Here are a lot of good connections with links that someone put together. 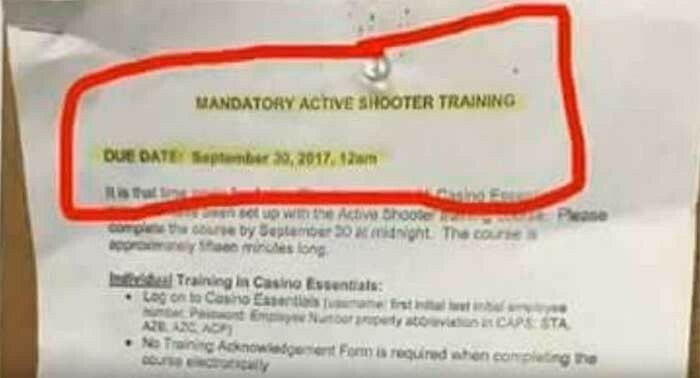 There was also a shooter training that was to be completed at this time for Casinos. Could this have something to do with the presence of private contractors? And please read this about Betsy DeVos and her brother Erik Prince. I also mentioned in my book “The Temple, The Abomination and The Holy Place” about the connection private military contractors and the group “ISIS”. I personally believe “Blackwater” were the ones responsible for the attacks on Iraq when attacking Christian homes then marking them with the Nun symbol. There is a “Kingfish” connection. So I wasn’t surprised when “ISIS” took responsibility fur the shooting. When you understand ISIS is nothing more than a group made up of paid psycotic mercenaries that are conjurong the ancient spirit of Osiris (like the first Isis did) them it starts to make sense. 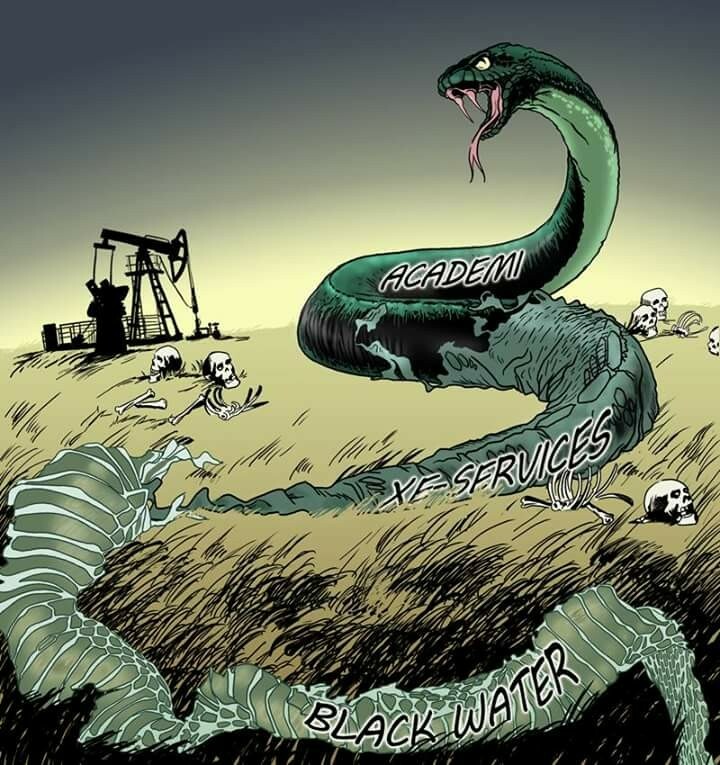 I don’t think Academi (Blackwater) hires just Americans, they hire the best. And if that comes in the form of Arab or Africans than so be it. They get the elite of the elite super soldiers. They all work for money and for the same cause. I want to pay what Fritz Springmeir had to say about this connection because sometimes its easier to let someone else say it than yourself. This is exactly what I thought though too. Everything is connected. Grim the Arch of a triumph being replicated to “ISIS” running amuck to these ancient Nephilim spirits in the guise of clowns being unleashed to now the shooting in Vegas at the Mandalay that was originally built by Circus Circus. You see, this is why they said welcome to the SHOW and it was similar to the yimes of the Ceasers. This ritual was sport for these guys to create terror and pass whatever needed to be passed to make it easier for when the man of sin hits the scene.